If anyone knows how to launch a superstar blog on the cheap, it’s Brian Clark. He never took venture capital, or raised any kind of funds. In fact, the entire Copyblogger empire was started as a one-man-show with about a thousand bucks of design and hosting fees. He grew the audience, he listened to what they said, and when he launched his very first product, he went from “just a blog” to “six figures in revenue”, pretty much overnight. All to say that if you want to know how to lower your costs the smart way (i.e. the way that gets you even better results), Brian Clark is the guy to teach you how to do it. Which is why I was thrilled when he agreed to jump on the phone and share his thoughts on the matter. Can you tell us who is Brian Clark? What is Copyblogger, Copyblogger Media and Entreproducer? Tip #1: Start with a market, and then create a business. Tip #2: Taking on start-up capital is a wasteful act. You don’t know if you’ll need it and you’ll start out in debt. Tip #3: Copywriting or content marketing is a way to present information that gets people engaged. Tip #4: If you want to get information from your customers – watch them online and in life, and try not to ask them. If you must ask, only use open-ended questions about a problem or a desire. Tip #5: Your market will tell you what they want to buy; you just need to listen to them. Tip #6: It’s very simple – it just isn’t easy. 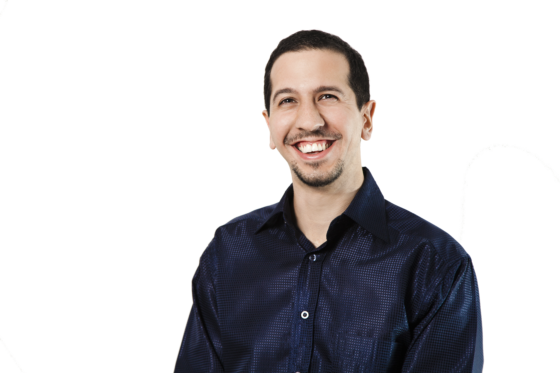 Danny: Hi everyone, welcome to 4 Questions of Marketing Month at Mirasee. 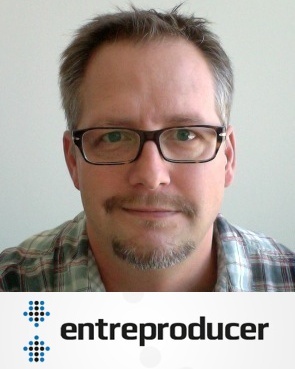 I’m Danny Iny and I’m thrilled to have on the line with me Brian Clark from Copyblogger, Copyblogger Media and Entreproducer. Hi Brian. Brian: Danny, how are you, man? Glad to be here. Glad you’re having me on. Danny: Great. Listen, Brian Clark is one of the few names that really requires very little introduction but nonetheless did you do the kind of quick two-minute overview of who’s Brian Clark what is Copyblogger, Copyblogger Media and Entreproducer? Brian: Okay, real quick. Copyblogger is a blog I started in 2006, one-man show, just writing about what I knew which was online copywriting and using content to build an audience in order to build a business. And then I basically had this “practice what I preach” mentality so I was always doing what I was teaching to the audience I was very transparent about it obviously. But, but then I also proceeded to turn the blog into a business, we never took any venture capital for outside investment. I think I, you know, I spent 1000 bucks on the design and some hosting fees before we became profitable. Now we are primarily a WordPress software company and an online education/training company, about 20 people, more or less, multimillion dollars in revenue, and we feel like we’re just getting started. Entrproducer is a new e-mail newsletter I started to kind of take people behind the scenes in a business sense of how you know we talked about content on copy blogger for six years… Entreproducer is really the business strategies that go along with that content in order to build an audience that will appeal to business such as ours but also companies like 37 Signals, Darren Rowse’s Digital Photography School which was his hobby and his passion is now a multimillion dollar business. All these stories abound of people who started with an audience, paid attention to what they were picking up from that audience as far as what they actually wanted, and then providing it for them as the basis of the business. As opposed to having that great idea in a vacuum and putting it out there and realizing no one wants it, which is what we’re trying to avoid. Danny: Not really connects interestingly to something you mentioned to me earlier which is the idea of eliminating waste, which is really the best way I can think to articulate this, you know, we’re talking about the Four Questions of Marketing and the idea that one of the ways to make more money is to improve your margins by reducing your costs. And you said it is perfectly: it’s about eliminating waste. Explain to me how this idea of particularly the idea the “Minimum Viable Audience” how does that tie into eliminating waste and what does that mean for a business? Brian: So well, the whole of avoidance of waste thing is tied into what are known as lean principles. A lot of you a lot of you out there may have heard about the book last year from Eric Ries: The Lean Startup, which was built on these principles of you know finding out what people want to buy, therefore not creating waste in terms of wasted venture capital, wasted time, wasted everything. Which, statistically, most start-ups are. They turn out to fail, most new products fail. Because of the process of starting in a vacuum and taking it to market instead of starting with the market and going from there. Which is, which is much more informed and ultimately less wasteful. So lean principles actually go back to the 1980s with the Toyota Motor Corporation, it was a manufacturing thing, and it basically has three tenants which is you start with something simple, you know, your basic “best guess” and in manufacturing that’s very simple process of getting whatever needs to be done. And then the second step is always knowing that you can do better, always. I don’t care how great your initial premise is, how great your initial idea for a blog or whatever, it’s going to be something that can be improved on. And the third step is always be constantly improving. Never stop. And that sounds somewhat exhausting because I think we all have this fantasy in our mind that at some point you just get there and everything is golden. I think some people might look at our business that way and I’m not complaining, but we’re always trying to the same process of concept, test or put it out there and then iterate from there. Which means you get feedback and you improve constantly. All the time. Before we got on this call you asked me, just as friends, what are we looking at for the next 12 to 18 months? You know, and I kind of laid out what I think the road looks like for the next 12 months, while making the point that you never know. And one of the most wasteful things you can do, to bring this back full circle, is have an initial plan and just stick religiously to it, despite indications to the otherwise. That’s a recipe for not only waste, but failure. Danny: I couldn’t agree more with what you’re saying, Brian, you know people ask me sometimes, because especially sometimes I speak to entrepreneurship students and stuff at colleges, I get asked about business plans. Like how much detail should you have in the business plan? And I’ll tell them there are two kinds of business plans. There’s the kind of a very high level, this is what we’re looking to do this is where were going plan and then you got to kind of figure everything out as you go. Or there’s the super-detailed, you know, everything mapped out everything planned out every detail accounted for plan so you know exactly what you’re going to do and then the rubber meets the road in 2 seconds later something doesn’t go according to plan and the whole document is obsolete and you’re back figuring out you’re going to do. Brian: Yes absolutely and I think the point is. Well first I have an admission, I started see, 1, 2, 3, 4, 5 successful businesses, and 2 unsuccessful businesses, which was the greatest learning experience of my life this was in the late 90s, but I’ve never written a business plan. What’s the point? I don’t get it. Now maybe that’s because I’ve never gone asking someone else for money which is wasteful in itself. I just wrote an article, you mentioned the Minimum Viable Audience and I talked about one of the benefits of starting with an audience, in addition to then getting you all this incredible feedback about their problems and their desires that are not being met with current products and services, that’s gold right there. But the flipside of that is when you start asking for money and giving away equity in your company, that’s an instance of waste right there. You have no idea how much money you need. You have no idea what you’re going to build, really. You may have an idea, but you don’t know yet, and of course that idea might fail, which burns more money, you lose control when you bring in investors, you lose opportunity because, number one, you have money and that makes you lazy. I know that sound crazy but it does, money is meant to be spent. When you’re bootstrapping you are at your highest creative form and you will come up with the best ideas, out of necessity and out of constraints than having a nice cushy egg in the back that sooner or later it’s going to go away, and then what you do then? So, I even talk about the fact that starting out looking for investment capital is in itself a form of waste because you have less creativity, less opportunity, less control, less equity and then you may… I talk to founders all the time and one thing they say to me without fail is: “you’re so smart you never took money.” Now we were able to get away with that, I’m not saying that taking capital is wrong in all instances, I’m saying that you can bootstrap an audience for almost nothing and you will be a much more informed entrepreneur at that point, and if you need money you’ll know it or at least you’ll have a better idea. Danny: Not to mention you’ll get it at so much more favorable terms. Brian: Exactly the leverage you have is incredible and that goes across the board. Copyblogger Media was built by essentially a whole bunch of different partnerships between me and another individual for a product, either to collaborate on, or they have the product, especially for software, I can’t code and I think that’s apparent to everyone. I don’t know how to code software, I know what’s a good fit for my audience and I know how to market it, and, but so we had all these separate companies that have sprung out of the Copyblogger audience and then in 2010 we merged all of those companies together to form one company. Which has been incredible. Because we have the equivalent of you know, a strong founder team that you might start with, but we never had to take outside investment. So we are still to this day completely in control of what we do, and our own ambitions which are still high. I won’t say that at this point I would never consider taking money, but we’ve got people trying to throw money at us, and were just like: “Nah, you know, we’ll keep your number.” Because it’s not a light decision to make, even now. Danny: I think you made a really important distinction there in that it’s, you know, it’s not that taking money is bad, it’s that usually when you take money, you’re not doing it from a position of strength, you have to give away way too much, not just in terms of, you know, shares of the company and all that kind of stuff but in terms of strategic control. Brian: Yes. And that to me is everything. I mean, I have never really been driven by money. I mean I like money, money is great everyone likes money to a certain degree, but I’ve always been driven by freedom, more than anything. And so I’ve always kind of taken steps that avoid situations where I feel like I can’t do, not just what I want to do, because a lot of my decisions are, are driven by the welfare of my partners, my employees and our audience and our customers. That always has to be the case. So you’re never, if you want to be free of that, you can, you’d just be poor. Okay you’re supposed to laugh there Danny. No, I mean you’re always serving someone else, but when you start adding into that responsibility, you know investors who have their own agenda, and their own you know, what they are seeking out of the arrangement, might not be congruent with what you’re trying to do. So, you know, we’ve talked about this aspect of, of avoiding waste a lot. But I think it’s important, because I think because this mentality out there right now that: “if I get funded I’ve succeeded.” No you haven’t succeeded you haven’t done anything yet except put yourself in bed with very powerful people. Who have interests that may not coincide with yours. Danny: Yeah you’ve got no product no audience and you’re trapped in golden handcuffs. Danny: That’s a very accurate word because I know a lot of people who would be happy to tattoo a Mac logo on their forehead. Brian: Absolutely. And that is what we all as publishers, as marketers that you want. Now I’m not saying Copyblogger has that kind of fanatical following, that would be ridiculous. But we do have people who really are thankful that we help that. And I don’t know if all of these people have become customers or not, you know, we have 170,000 subscribers more or less, we’ve got about 82,000 customers, you know but, it’s not a “this or that” situation. The audience created all of those customers even if it’s not a one-to-one correspondence because we, we’re out there in the world and people are sharing our content and saying that we helped them. I mean that, to me, is the biggest compliment of my life, you know, and we talked about earlier before we got on the call, you know, our big ideas and big plans and whatnot. But, you know, it ultimately boils down to is someone out there saying “you know what, Danny made my life better?” I mean, is there any better feeling than that? Danny: Absolutely not. I mean once in a while they send it by email, it makes your day for the whole week. Danny: Yes and you know, you’re absolutely right. The fact that so many people are so engaged with everything you created that is the biggest compliment, and it’s a very well-deserved compliment, very well current compliment I mean you put in the time to create this wonderful content, you listen to people which is a huge part of what you’re saying and preaching here now and it works you’ve done it it’s all there. Brian: Right, so, okay, touchy-feely aside there, let’s look at what that means as practical matter for you. Who has been getting and sharing and creating for other people. You are now so in touch with this audience that you have a really good idea what they need. From a product or service development standpoint. Not a guess, not a wild idea but a really good idea of what they want. You are able to go through all sorts of processes where you hint at what’s coming to where you kind of gauge response, you’re able to observe potential objections and address them, whether it be price, whether it be features, whether it be whatever. You’ve got this incredible resource of people. They’re not a cold group of people, they’re not a focus group telling you what you want to hear. They are a group of people that you’ve been serving at a very… I guess the word intimate isn’t inappropriate in this sense. Danny: No, I think it’s exactly right. Brian: Yeah, it’s intimate in the sense that you have to be so in tune with what they need so you can get to them at a content level that you start to really know them. You become one of them. Or at least you should. I’ve always said that our success in product development really comes in part from the fact that I am my market. I mean, I’m not, compared to the average human, I’m fairly technical, you know, technically savvy. But compared to my partners, you know, anyone who codes or actually does things at a server level: I’m an idiot, I have no idea what I’m doing. I’m just, well, not “just”, I’m a writer mainly, and our audience to a large degree are also writers. I’m a small business person, they are small-business people. The congruency between who I am and who they are is a lot more closely aligned than people may realize and it, it finally got down to the point where I realized that if I needed it and wanted it, there’s a good chance that other people needed and wanted it. That’s truly being in tune, intimately, with an audience, I think. So you avoid waste at that point. Also, when you do come up with something you are not looking for advertising, you’re not looking for the New York Times PR piece. They are right there, they know: “I trust you already.” When we first lost launched our first product was copy blogger people were literally begging for – I’m not kidding, I say to you now they were like: “when are you going to sell something?” Like, we’re working on it and we just wanted to make sure that it was right. And it turned out to be right and we went from blog to six figures in revenue in 2 days, and it was well worth the wait. And again, that was the beginning of a long process by which every year we launched a new product and every time we were able to get it right. And it’s not because we’re some kind of geniuses, it’s just because of our audience. I mean, they told us everything we needed to know without us asking. Which is another thing I stress: don’t ask them what they want to buy, that’s the worst thing they can do. You have to observe. You know, they’ll tell you, you just have to listen. Danny: I think, I don’t remember if it was on one of the Internet Marketing for Smart People radio shows, or maybe I heard in a different interview, I think it was yours but, it was I think Chris Garrett who was being interviewed and he was talking about exactly that, you know, just find the people who need something and give it to them, but that’s not the same as going to people and saying: “What do you need?” Which is the least helpful in most annoying thing that any blogger or business owner can ask. If you do that then you’re not listening. Brian: Yes, now if you’re going to do any form of surveying, I’m weird, I think compared to most people I never ask. Outside of, you know, a call for comments like we always do, because those type of things tell me a lot of stuff. Also just watching in your space, whether it be using hashtags or whatever on Twitter, Facebook, Google+, seeing the unscripted, unprompted conversation around the topic is incredibly useful. But if you do want to ask your audience directly in the form of a survey, ask an open-ended question about a problem or a desire, not about buying something. The only way to know what someone will buy is to watch them buy it. And I know that sounds frustrating, but that’s actually the main principle behind this whole lean startup thing. Which is one way or another you have to get something out there for them to buy, and then once they buy it they will tell you they will tell you what they hate about it, they will tell you what they wish it did, they will give you ideas you never even contemplated, but you need a buyer. Customer relationships are still the most important aspect of this business, but what we’re really talking about it from a marketing standpoint is, how do you get enough customers in the first place, to actually get momentum going? And that’s through the audience. So ask them open-ended questions about problems and desires. Derek Halpern does this very well in one of his, you know when you subscribe to his e-mail newsletter at Social Triggers, I think one of the initial emails just says “what’s the number one thing you’re struggling with?” Brilliant. Now is it as neat and easy to manipulate as a multiple-choice question? No. But multiple-choice questions tend to suggest answers, whether you realize it or not. You need that big messy open ended question, let them write a page, let them write one sentence. You’ll learn way more from that then you will from any other form of marketing research that you could do. Other than just unprompted, unsolicited, observation of your audience in the broader market. You talk about another one of these 4 ways is to grow the market itself right? When you have an audience that really is your market you don’t have a market bigger then that yet. But, you can see what you’re hearing in that specific group of people, not some rusty demographic, not some abstract thing. And then look in the broader market, the space that you operate in, and see how those attitudes match up with what you’re observing perhaps in social media monitoring, or other forms of competitive intelligence with people who are selling products in your space but maybe not satisfying a desire or problem that’s they are. That’s where the gold is. And that’s how we built every one of our products. Danny: So, if I can distill this down, what I’m hearing is that there are really two steps in this process that kind of repeat in a cycle. The first step is to gather better information. And the second step is to adapt based on that information. Is that accurate? Brian: I think that’s accurate yes. Danny: So how can people… you know, our target audience is small business owners, entrepreneurs, 0 to 10 employees, so it’s a lot of solo professionals, a lot of freelancers, a lot of bloggers some smaller businesses that, you know, whether it’s retail or whether something else… how can they go about planning all this on both sides of that cycle? What can you do to gather better information both on the customer side and on the prospect side, and then how can they stay nimble and adapt to reduce those costs based on what they’re hearing? Denny: And everyone who’s listening, by the way, you definitely should head over to Entreproducer. Read the article, sign up. You guys all know how busy I am, how much I’ve got on my plate. There is, I can count on one hand the blogs that I actually read on a regular basis, like I’ll at least skim everything they put out. And Entreproducer is on that list and there is a reason for that. Brian, we’re coming up on the hour, I know that, that you have a time constraint and so do I, I want to be respectful of that. I want to ask you one last question that I make a point of asking everyone we interview at Mirasee before we wrap up. So the question is this: we got a whole bunch of people listening to the call, they’re going to read the transcript and it’s been a very interesting call, you said a lot of really valuable stuff, and they’re thinking: “yes, you know, this is amazing. This lean idea of strategy, of marketing, it’s something I have to do. I have to look into this minimum viable audience, I have to start doing all of this myself.” And they’re so impressed with the idea that they decide they’ve got to take action, they’re going to clear three hours this afternoon to start moving. Now obviously you can’t reinvent your business in three hours, but three hours is enough time to definitely get like, a good chunk of work done. What should they do with those three hours? Brian: Well it depends on where we are in our journey at this particular point. Some people will have a business but they don’t have an audience. So those people I would start thinking about what is the information, what can I teach people that’s related to what I sell that helps them get more comfortable with me, and more comfortable with doing business with me? So if you’re that person, start doing that today. I mean three hours of solid thought will get you on the path to finding… If you think like you’re starting a magazine, and this is hard for people to do, but say you’re in the business of selling real estate, but you know, think about: “okay, what kind of magazine would people that need to hire a realtor or a broker want to read, that would make them more likely to hire me?” And, and that’s just a very simple way to break it down. That’s what content marketing means. Giving away education in order for people to know, like and trust you more than the other guy. And they want to work with you. So that’s, if you’re a person with an existing business, that’s what I would do. If you have an audience but you don’t have a business, I would take those three hours and start thinking about: “what is it that the people I’m serving need beyond this information?” It’s the flip side of the other equation. Some people start with an existing business model and have to market it. Other people have a certain amount of reach, but they don’t know exactly what it is that they’re going to, to use to make money. And that essentially means you are the, the classic definition of a start-up. Steve Blank says: “a start-up is not a company in the sense that the first example was, you’re an organization in search of a business model.” And I started Copyblogger that way. I had no idea where what I was going to sell, I knew that I needed to build a certain type of audience that would be in the market to buy stuff. That’s important. Make sure you have an audience that is in the market to buy stuff. If you have LOL cats or lolcats you know I never figured out LOL cats or lolcats. Danny: I always said lol cats now I’m questioning that. I’m going to be wondering. Brian: Yeah I know… we’re off on a tangent here. But you know, that’s just, you know, high-traffic silliness, and of course advertising is really your only model. A lot of people seem to be enamored of advertising, online advertising as a model, it’s not a great business. Danny: Yeah I tell people all the time: advertising is a business model for people who haven’t thought of a better business model. Brian: Honestly! We were one of the first blogs to switch to a guest posting model because I basically wanted to go on vacation and I asked some of my friends to fill in for me and the audience loved it. They love getting other voices. And I was like: wow, this is great. And we kept going from there and now it is an industry standard. People are building careers from 0 to 60 in no time. There’s never been a better time to build an online audience. I’m telling you. It is given me a very wonderful business, a wonderful life. That doesn’t mean I still don’t complain but, you know, that’s just fun. You’ve gotta complain, I think. Danny: If you don’t complain a little bit you’re just getting complacent. Brian: That’s right. That’s right. And we should close on that note. Danny: Absolutely Brian thank you very much for taking the time to do this I’ve had a lot of fun with this conversation, I know it’s would be very valuable to her listeners I have a lot of people are going to listen to it twice just to make sure they get all of the extra nuggets of value out of it so, thank you so much for taking the time to do it. Brian: I appreciate it, thank you very much for having me. I listened to this interview while on a drive for a short vacation. My wife was napping so no problem. It was getting near the ending mark and she woke up and wanted to talk but I was like, “hold on, this is really great stuff”. I was totally inspired. I think that’s the missing link for many of us sometimes. Rather than just giving information, we need to inspire as well and Brian and team are able to do that very well. Thanks for posting this! Really enjoyable and informative interview, Danny and Brian. I read the transcript because it’s faster, so I appreciate you giving that option. Brian, while we do have Twitter and Facebook for rapid spreading of good articles, we also have an information surplus and serious attention deficits! There are over 150 million blogs and who knows how many websites. There is more competition every day in this low-barrier industry, but cream still does rise to the top. People like Danny who work unbelievably hard guest-posting every other hour have the right strategy. Thanks for introducing guest-posting to the blogosphere. I’ve found it is the most effective way to get noticed. Hey Stephen, I’m glad you enjoyed the interview! You’re right that there’s a lot of competition, but there’s still a real lack of quality content out there – not that it doesn’t exist, but it does represent a very small portion of what’s being published on a daily basis. Now, sure, the “gold rush” period of the blogosphere is over, in the sense that you can’t do well anymore just by publishing any old thing and tweeting it to three people – the share of voice that you automatically have is too diminished for that to work. But if you create great content, and put it where people are actually going to see it, you WILL get noticed.